This is one of the best pre arrival videos I have seen showing fire and smoke conditions. It is a great one to watch at the kitchen table and discuss tactics. Lots of good points to talk about here and what you might do with your own departments response and tactics. Vertical vent? If so what location? If you wouldn’t vertical this how would you vent it? Search opportunity and where’s the survivable space? Let us first begin with a review of what UL is saying, not from my interpretation but from the source themselves. UL exists to present data not dictate tactics. 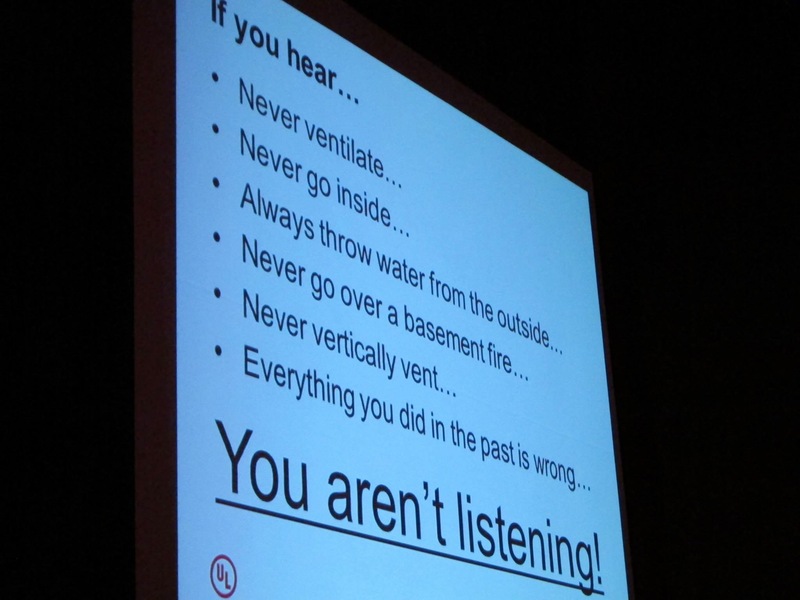 As you can see from the list presented in the slide to the left from their presentation they feel there is a need to clearly address several points which some in the fire service are misinterpreting, one of which is vertical ventilation. From what I have gathered from the UL studies and presentation of their data there are several key points. 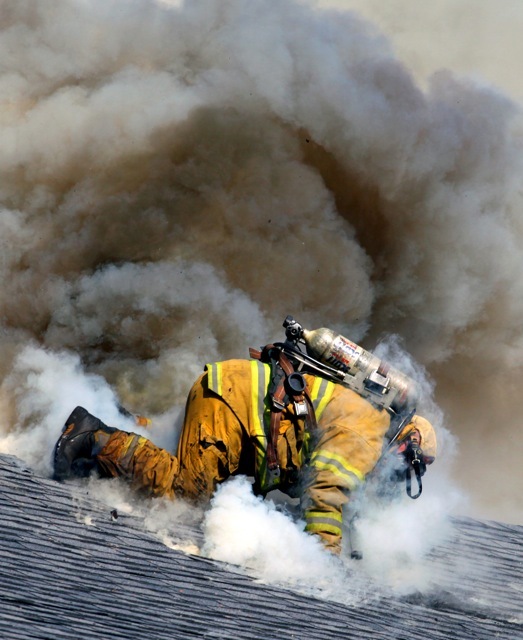 Heat is a fire’s greatest strength and most predictable attribute, it wants to go up. Using the thermal column to ventilate fires has allowed us to live and work around fires in enclosed spaces for thousands of years. Because of the simplicity and reliability of the chimney effect, using heat to ventilate should be the first option considered. Vertically venting also takes a great deal of the fire’s energy out of our plane of operation as we typically operate horizontally in structures with our stretches and searches. 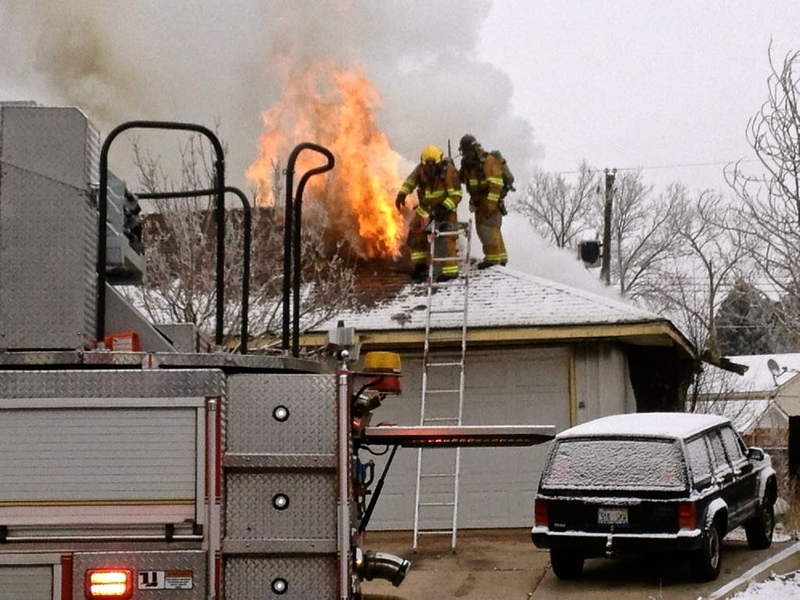 There are a few key problems with utilizing heat as a ventilation method on most fires. 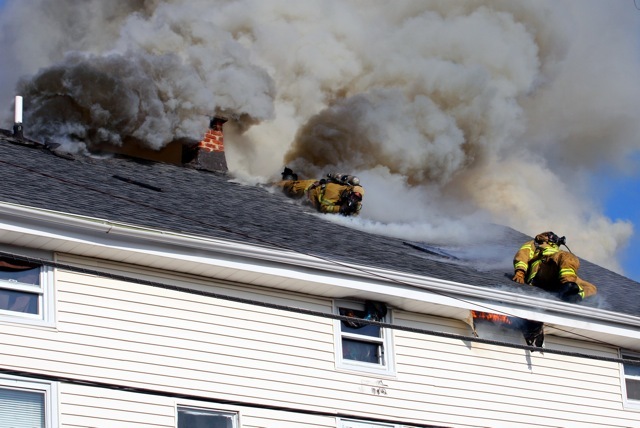 The first is that unless it is a top floor fire the opportunity to get over the fire is not as readily available as horizontal options (windows and doors). The second is that once on the roof an opening must be created using saws which causes “damage”. Aside from these two physical factors there is an overwhelming mental limitation to the utilization of vertical ventilation. The first limitation is the fear of working over fire. Be it searching the floor above for VES or vertically venting there is an almost instantaneous reduction in acceptance of the tactic due to “risk”. The thing is that many times between the roof decking and the room you have the compartment of the attic as a buffer. Too often this is lost on people who are predisposed to critique the viability of the tactic. In the first picture the hole in the decking has been cut and the smoke pushing is from a charged but uninvolved attic space. 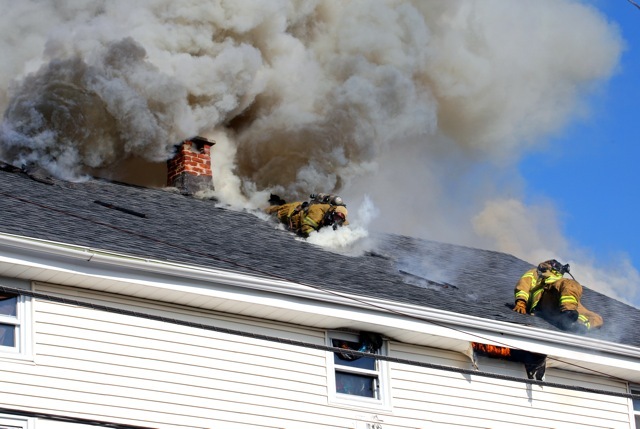 At this point no structural members of that roof are being exposed to fire however within the compartment of the top floor of the residence a significant fire is working and filling out the occupancy with smoke and heat. You can see the firefighter punching in the lid of the room with his pike pole which drops the ceiling and vents the room up and out. In the picture to the right you now see “heavy fire” but the lack of smoke displays a clean burn. At this point the fire is impacting structural members of the attic space but the operation is complete and firefighters are off the roof. 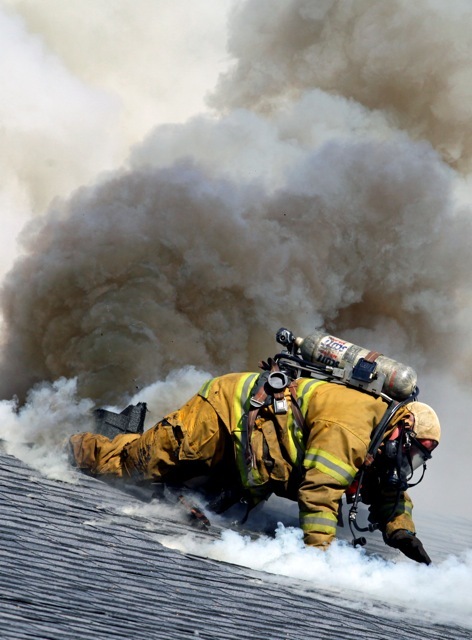 In many vertical ventilation scenarios the “10 minute ticker” of light weight construction isn’t started until firefighters have executed their mission which allows plenty of time for suppression. The second mental limitation is the lack of confidence that vertical ventilation can be executed in a timely enough fashion to be coordinated. 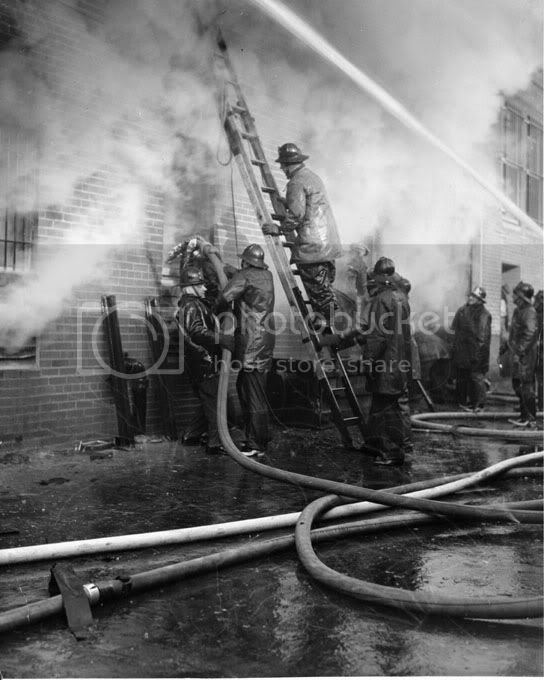 Working with ladders takes practice to get proficient but in this proficiency you will find the quickest route to efficiency as 80% of the time it take to preform vertical ventilation is getting to the objective. Quickly performing vertical ventilation also takes a game plan, rehearsal and even choreography all of which are barriers but none of which cannot be overcome. As with anything there are no absolutes. You may be working in a department where getting one company to the scene to stretch a line in a timely manner is a problem let alone two companies arriving together to work in a coordinated manner. 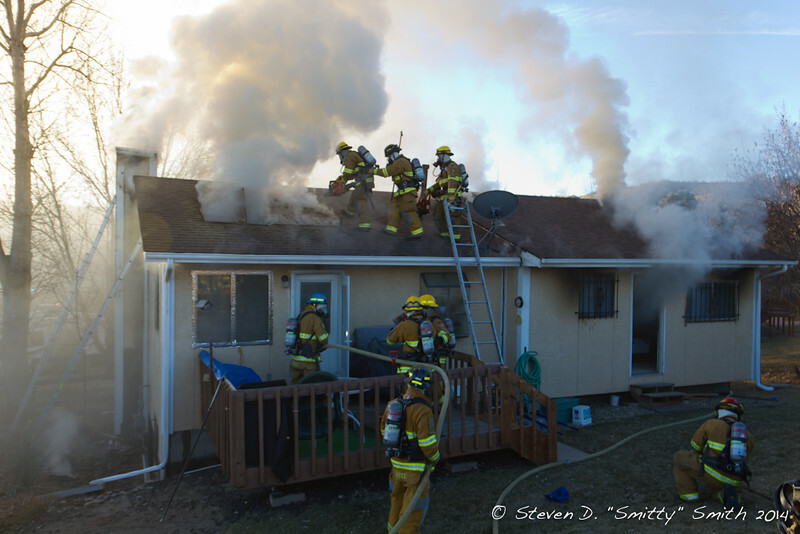 But for many of you I think it is important to note that with practice, training and understanding, many suburban districts where two companies are arriving in close proximity, will have 1 and 2 story single family dwellings that have roofs accessible by standard ground ladder compliments allowing for coordinated vertical ventilation as an option. 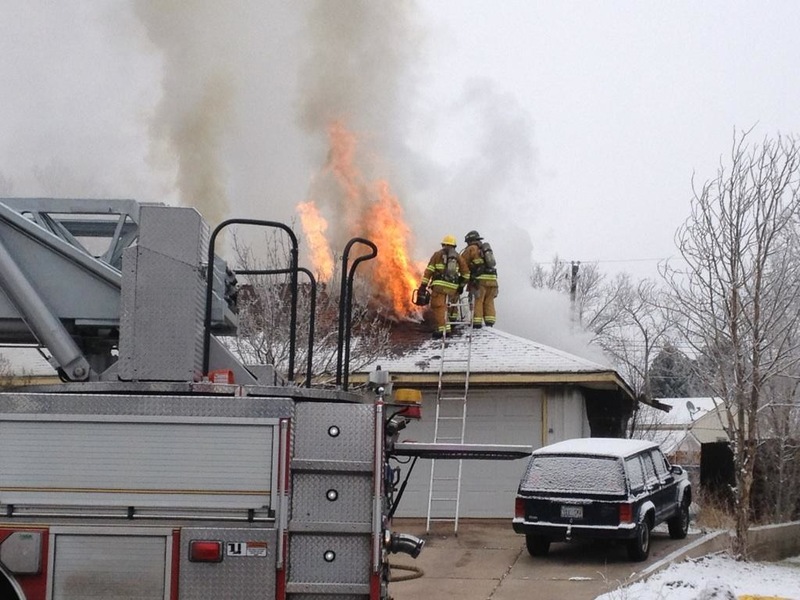 This series of pictures is from Colorado Springs Fire Department. 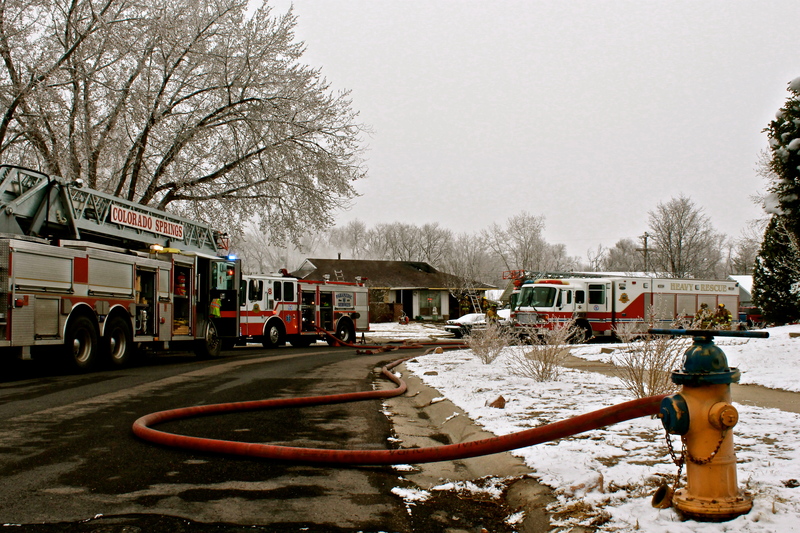 CSFD sends 2 engines and 2 trucks to a single family home 1st alarm. This is a midsize department consisting of 21 Engine Co’s, 6 Truck Co’s and a Rescue Co for a population of about 500,000 people. They serve everything from urban areas, suburban neighborhoods to urban interfaces. 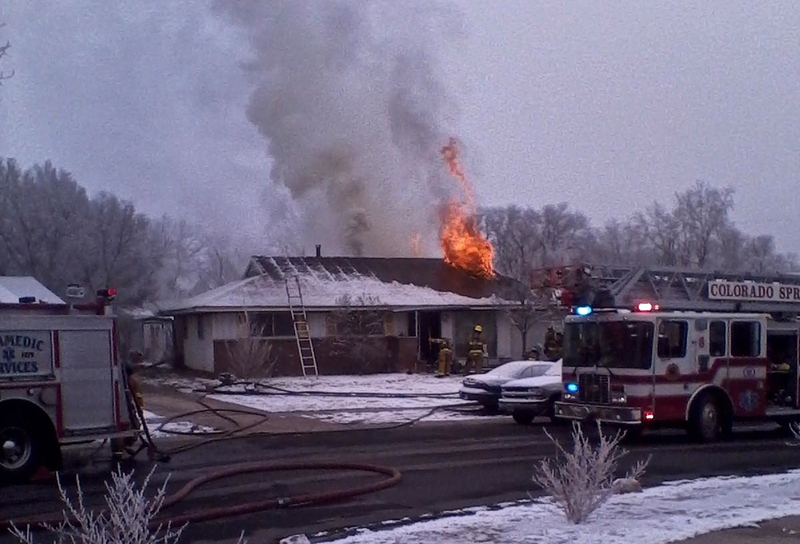 Do not get lost in who CSFD is and focus on this residence and the fact that three essential fire ground operations are being executed in coordination by the first two companies. 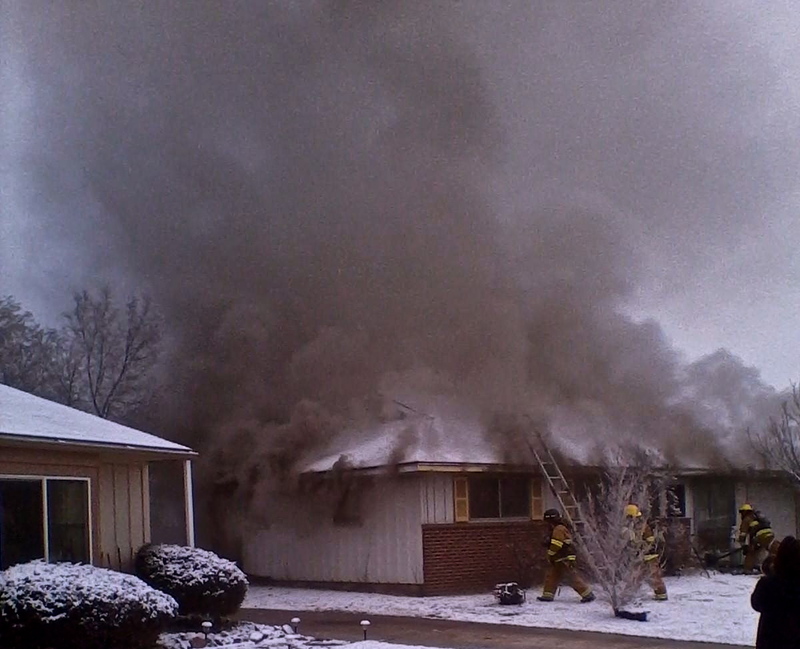 This first picture is just after arrival of Engine 8 and Truck 8. While E8 is stretching across the yard T8 Irons crew will assess forcible entry and prepare to search and T8 ladders crew is the team going to the roof. You can see how charged the occupancy is with smoke pushing from eaves around the entire structure. Once teams make entry on this type of fire, the conditions interior will confirm one of two things from what is observed on the outside. 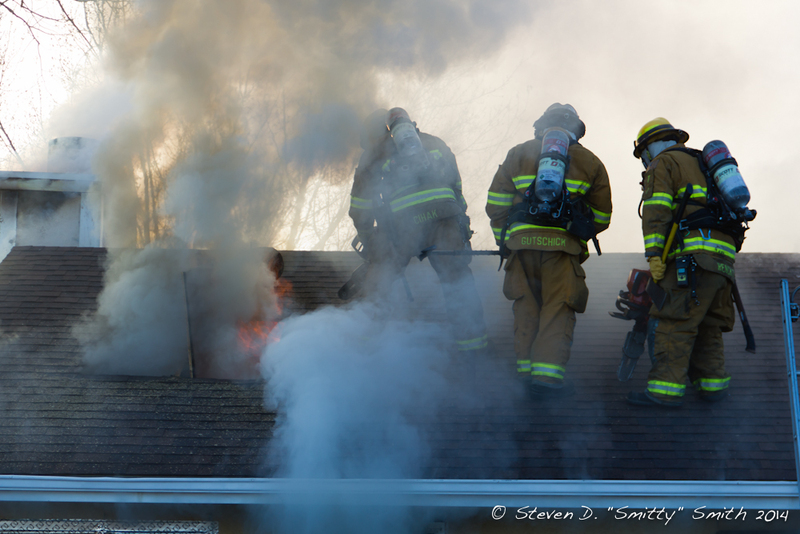 The fire is an involved compartment fire that has difficult conditions interior and is also pressurizing the attic. Or we will find that conditions interior are showing light to moderate smoke with no obvious fire and at that point we should be considering strictly an attic fire, or an outside fire that is moving in. Which this specific fire was. Multiple ladders are thrown and access is made to the area suspected to be closest to the fire. This was determined by smoke conditions of the eves and of the roof vents near the ridge line. Access to the cutting area is done utilizing the hip of the roof for stability and using your hook to provide solid sounding of the roof decking. 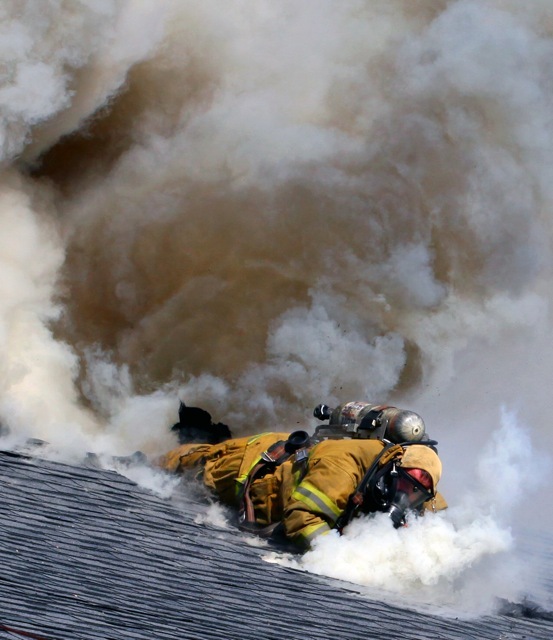 Once at the ridge a roof survey can be quickly visualized to confirm fire location and roof stability. 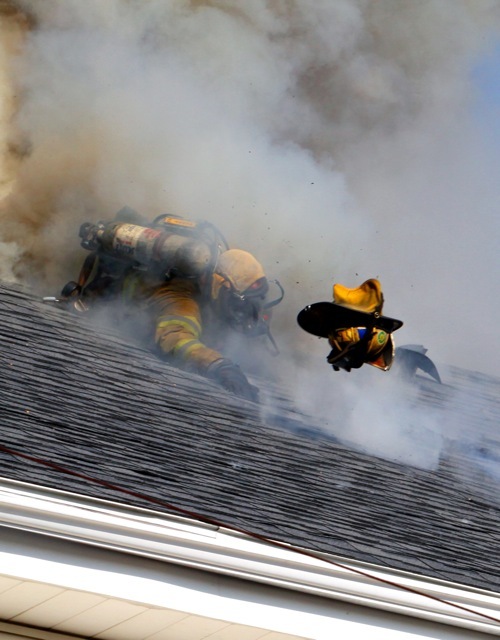 Once the position was chosen, the roof decking is cut and the charged attic space dumps very pressurized smoke out of the opening. The smoke quickly ignites, a thermal column develops and is intensifying the fire but increased fire activity and energy is largely channeled up and out. You can see in this picture the overall presentation of the structure is cleaned up and you have free burning out the vent hole. Less than a minute after the hole is cut T8 ladders crew is on the ground. Shortly after that E8 now has very clear access and an obvious fire location above them, they pull ceiling from below and hit the fire in the attic. The steam conversion is observed as it too is now channeled up and out the vent opening. This is about as text book an example of coordinated vertical ventilation as you can find. Executed largely on a foundation of clear expectations, solid understanding, and constant training. The take home here is that while CSFD potentially has a bigger first alarm assignment than your district this was handled largely by 8 people. While T8 is a 109’ aerial, this was executed with a chainsaw and a ladder compliment found as standard on most all engines in smaller departments. Stop letting people tell you what you can’t do and start looking at what can be done. I don’t post just photos very often but these are some of the more incredible pictures that I have seen in a while. All the photos were taken by Tom Carmody. 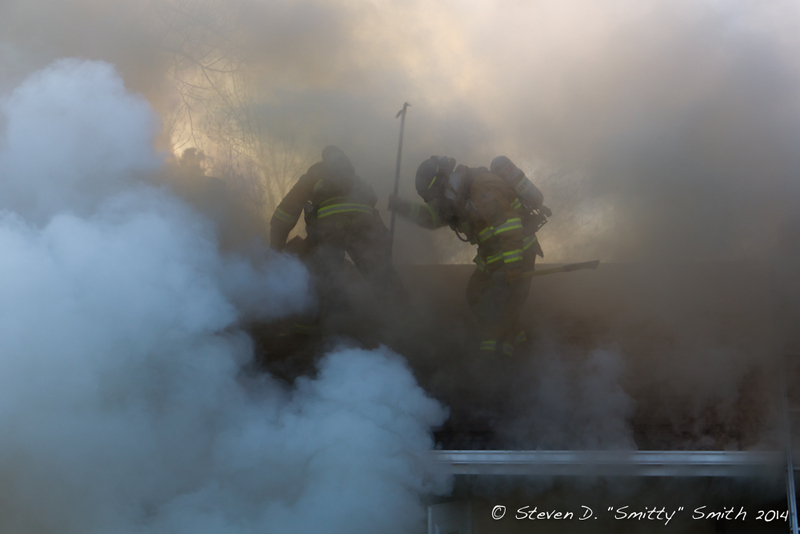 These are Pawtucket firefighters shortly after venting the roof and returning to the ladder, this happened on their way back. All the firefighters ended up with minor injuries. Tom has a large amount of photos from this fire, these are only a few of them. Please visit his site to see the whole fire. Here is an interesting video that shows about as close of call as you can get. I just saw this over at http://www.workingthejob.blogspot.com/ . If you have not seen his blog yet check it out, it is a good one. The comments that workingthejob.com made pretty much cover my thoughts on this video, I am not going to repeat them all. But a few things I must say, I agree we are only seeing a small picture into a larger situation so I am not going to comment like I was there or pretend to know the whole situation. This obviously is a smaller department (guessing by the amount of white hats on the roof and fire ground), which may also have budget issues or are not issued the proper equipment. If you take a close look at the saw that is being carried off of the roof after the situation happens you can see that it is a smaller saw that is very under equipped to handle venting roofing materials. It appears it may even be an “echo” style homeowner brand chain saw. 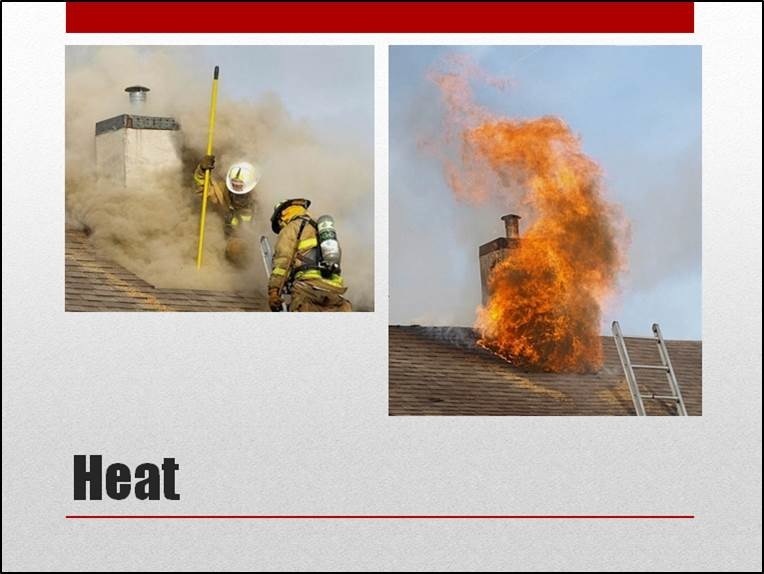 If we are assigned to vertically ventilate a lightweight pitched roof one of the safest things we can do is vent it quickly and then get off. Especially if this fire is already in the attic. Anyways I don’t need to describe the rest, you will see it for yourself. This is a video I stumbled across on another great website the other day. Credit goes to www.fireservicewarrior.com for this post and find on the video. I thought it was definitely worthwhile to repost and see what everyone’s take is on it. This fire is in Fairfax County Virginia. 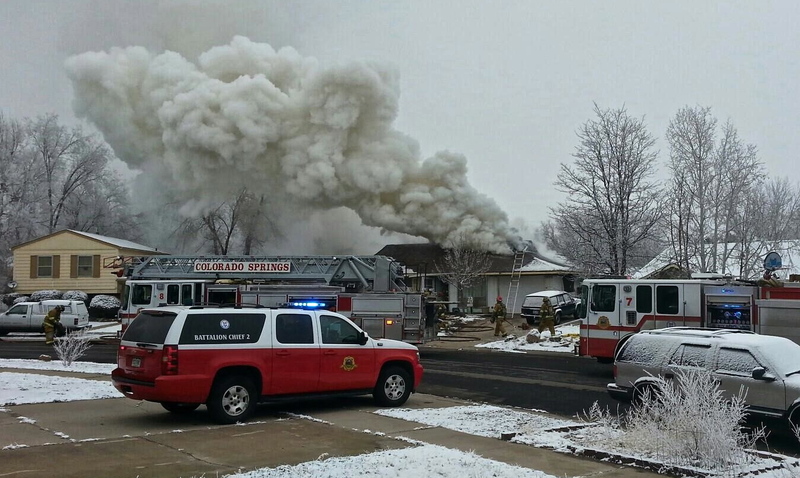 Three firefighters were hurt in this fire and a resident was hurt even worse. These videos have some great things for us to take away and learn from. Like many videos before, we are not here to bash other jobs. However discussion and comments about the fire and what we could have done, or what we learned from this video are always great. Anyone that has some thoughts should throw it out there for all to hear. This is a very common building found in almost all of our districts. To stay brief I see to main points. The fire seems very under-ventilated and is screaming to get out. Second, possibly due to the first point there appears to be a delay in getting the first line advanced to the fire. 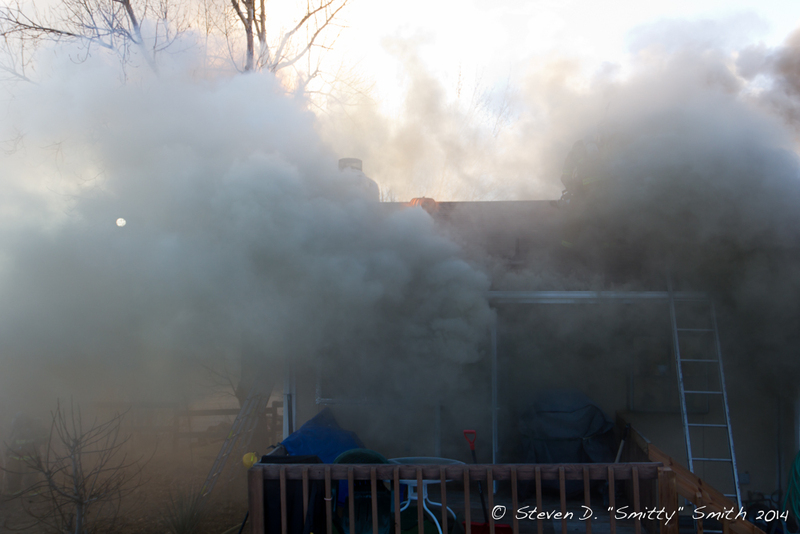 This shows some great fire and smoke conditions, and shows how quickly that dirty smoke will light up. The second video is the same fire, just later into the incident. It gives you a much closer view of the building and shows where the fire made it to. We have all seen multiple videos out there of PPV mixed in with some other factors causing some very dangerous conditions. We understand that some departments heavily use PPV, some do not use it at all, and many others will use it with certain conditions. We are not here to take on this never ending argument, but rather we take a close look at what can go wrong and how to prevent this if your department does use fans. Many of our mentors have explained how one of the most dangerous tools on the trucks can be the fans if used without the proper understanding and conditions. 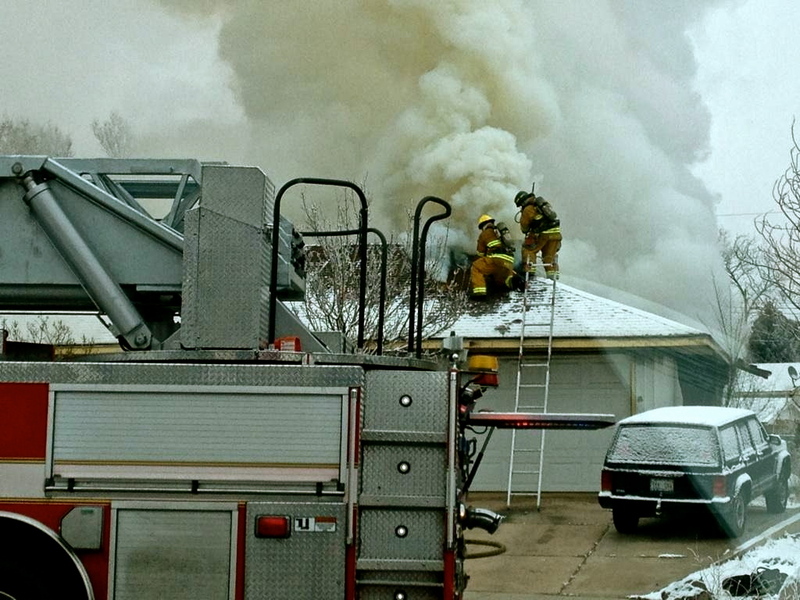 The most dangerous combination is by instructing a firefighter to blindly place a fan at the door every time without paying attention to construction, fire location, pre-fan conditions, and even more importantly to the conditions after it has been placed. If we use fans we must be very educated and well versed on what can go right and what can go wrong during the operation. Anyone that has comments regarding what you’re looking for, contradictions, personal experiences of when it may have worked good or bad, please share so all of us can learn. As always we will not post comments that are strictly made to bash departments that are in this video or are otherwise not constructive.